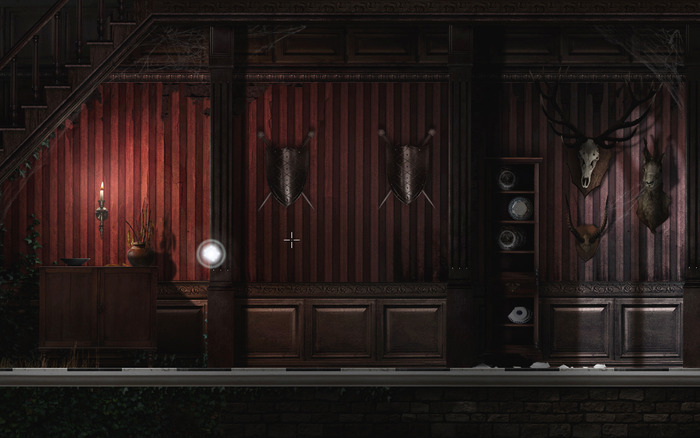 Goetia Hands-On: Spirit in the Material World Needs A Helping Hand | "DESTROY ALL FANBOYS!" 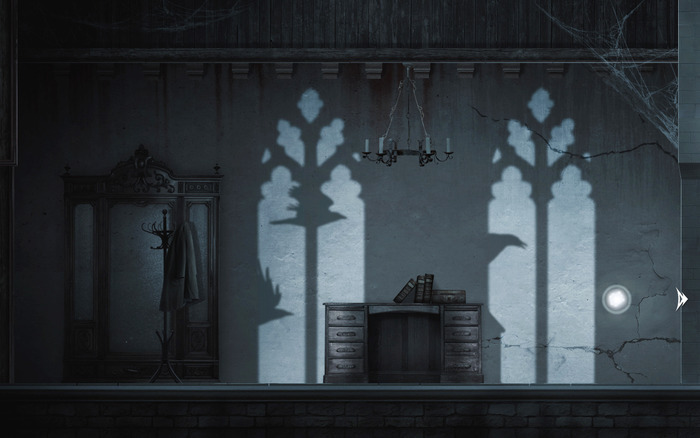 Haunting my inbox was an invite from Agnieszka Szostak to check out a brief demo of Goetia, a point and click mystery adventure game from French indie developer Sushee. The game is currently half funded on Kickstarter with about 21 days to go, a good sign for a game of this type. The demo clocks in at about an hour of play and shows off a game well worth keeping an eye on. In the game, you’ll play as Abigail Blackwood,or more precisely, the ghost of Abigail Blackwood. 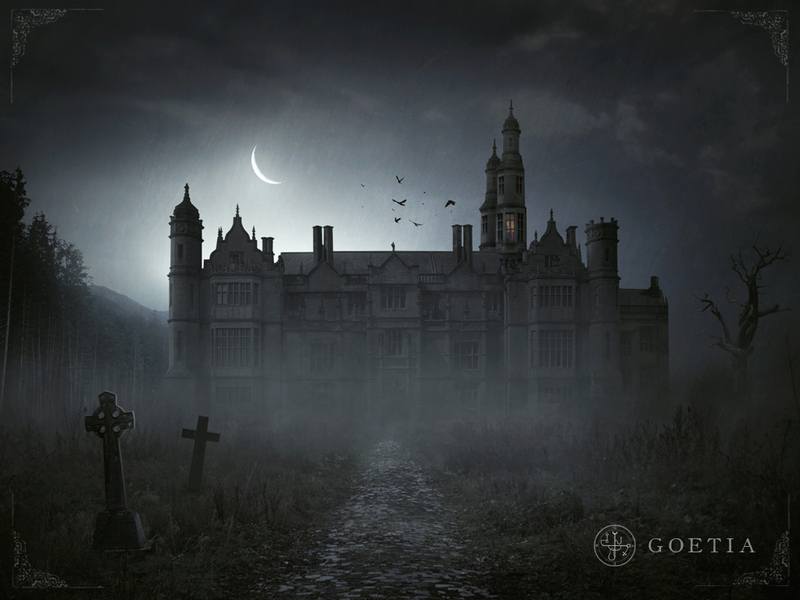 She rises from her grave one gloomy evening and after realizing she’s no longer among the living, also discovers that there’s a mystery to be solved at her family’s seemingly abandoned manor nearby. While the demo takes place entirely in the mansion and it’s grounds, Sushee says the final build will have a lot more ground to cover. The cool thing is, it’s entirely up to players as to how to proceed thanks to Abby’s ghostly, spherical form. As a ghost, she can travel through some walls and floors as well as interact with and manipulate objects in order to solve puzzles and progress through an even deeper mystery. Some areas are blocked off by mysterious runes that require knowledge of how to dispel, so Abby will need to scour every nook and cranny for clues. The object manipulation is actually really cool, as it allow Abby to “be” an item for as long as you wish to float it around the screen. 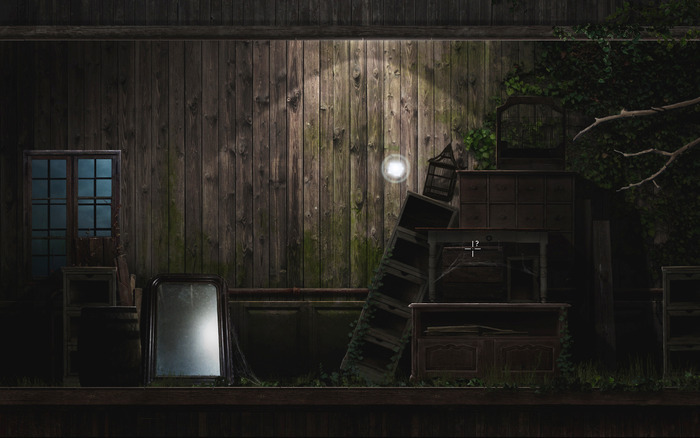 Solving some puzzles involves multiple steps of manipulation, but the interface only has three icon-based actions to deal with. Abby can look, use or inhabit certain items and combining these skills (plus some careful reading of found documents) is key to success. 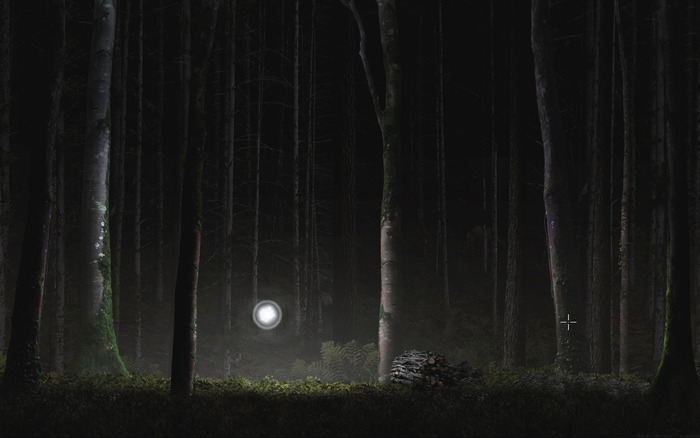 The game is also reminiscent of the hugely popular “hidden object” genre that has far too many titles to count. 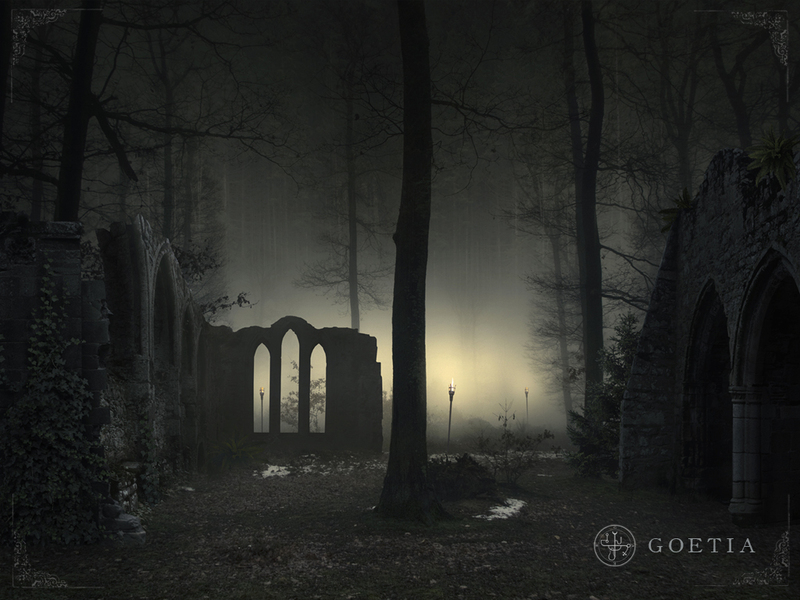 Goetia requires a bit more grey matter activation, as there’s a nice layer of complexity to figuring some things out. Combine that with an open environment and you have the makings of an instant genre classic. Visually, the game is quite lovely in a simple non-system hog manner reminiscent of classic side-scrolling PC point and click games from the 90’s. That said, the use of lighting and parallax scrolling are brilliantly implemented, giving the game a nice sense of realism. As Abby is just a sphere-shaped spirit, you’re not going to be seeing her girlish figure animating anything but the objects she possesses. So, if you’re looking at this for the potential of playing as a hidden statue, candlestick or other otherwise inanimate object, go on ahead and dive into that demo with relish. If you’re still rocking a system that runs Windows XP, fear not. There’s a 32-bit demo you can play that’s exactly the same. This is a smart move by Sushee because believe it or not, plenty of people still use that well-aged OS. I’m also sure part of the target audience for a game like this skews older enough to not be spending rent money on keeping up with the latest gaming rig setups. 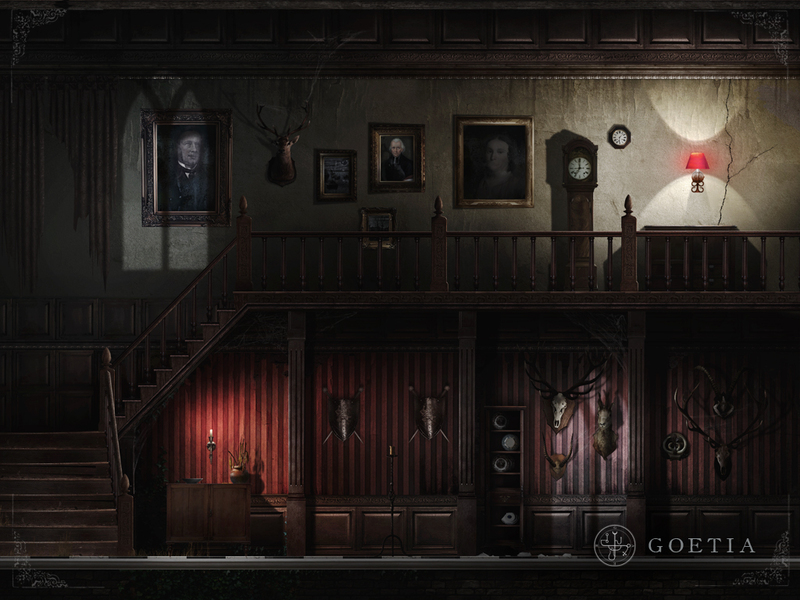 Goetia is set for an October release on PC and Mac. As for other platforms, let’s just say “who knows”, but the controls certainly make it seem like it’s going to be a very mobile-friendly port for those of you who prefer your games a bit more portable. 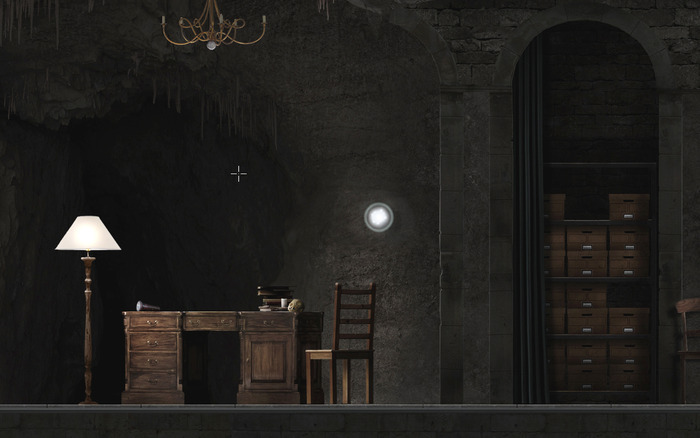 This entry was posted in 2015, Commentary, DAF, Features, Humor, Updates and tagged Apple, Coming Soon, Corwdfunding, Demos, Digital Games, Fund This!, Gallery, GOETIA, Hands-On, Imports, In Development, Indie Games, Indie Gaming, Kickstarter, Mac, Macintosh, Made in France, Nostalgia, PC, PC Games, Previews, Screenshots, Sushee, VGA 101, Videogame Appreciation 101 by geelw. Bookmark the permalink.